We try, as often as we can, to get out of the office and join the community. We want to get involved in social life and bring added value to society through gestures and activities with a positive impact on those in need of help. Thus, we have again joined a cause that we have been supporting for a few years now, Hospice Casa Speranței. This non-governmental organization aims at introducing and developing specialized welfare services for incurable patients in advanced stages. Hospice Casa Speranţei is the first and largest unit of this kind in Romania in the field of palliative care. 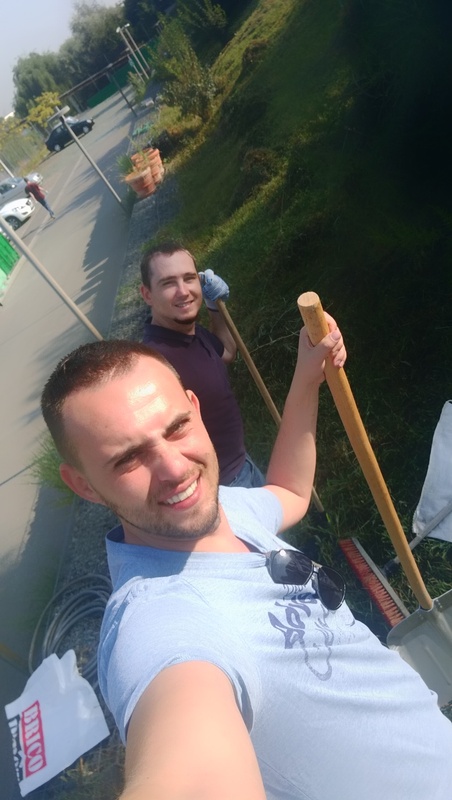 Friday, September 16th, a group of 20 colleagues of ours, from Romania and abroad, devoted their time and energy to supporting and promoting this organization. We wanted to support this institution because we identified ourselves with the values they promote: professionalism, transparency and the desire to act concretely and effectively.Our hosts presented us their activity and we had a tour of the building. It was great to see how much dedication and goodwill is put into this center. Then we divided into teams. Some of us participated, together with patients, at a creative workshop, where they made various objects that will be needed for future events. 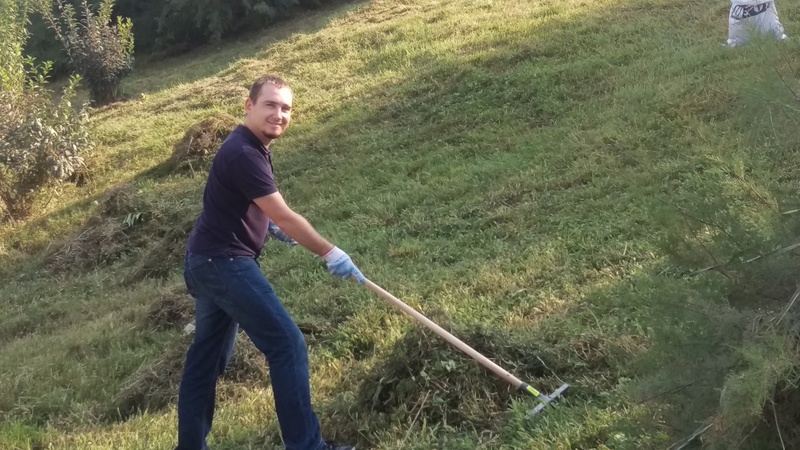 The other colleagues, armed with tools, garbage bags and gloves, worked in the garden! And how wonderful it was! They trimmed and gathered the grass, they cleaned the alleys, the parking lots and they cut the hedges. Work was not at all difficult. On the contrary, they had fun and did not realize how fast the time had passed. The result was great, and the staff and patients couldn’t stop praising! ‘We were all very excited about this action. We really thought we’d organize this more often with people from our project and that we could look for volunteers to participate to such actions in a greater number. I think this is an excellent team building exercise and, at the same time, it contributes to a social cause that deserves special attention. ‘We would like to thank you once again for the warm welcome you have given us in Bucharest. We were impressed by your team’s professionalism and we were delighted to have had the opportunity to meet you all in person. We rejoice greatly when we see that a simple gesture, seemingly irrelevant, can have beneficial effects on those around us and especially on those in need. Friends working together, friends helping together!